The Nike Mercurial Vapor IX Fireberry/Electric Green-Red Plum is now a reality and after we, earlier today, could reveal the boot, it is now time to take a closer look at the boot. Our photographer has shot some fantastic pictures and we are equipped with the full knowledge of the boot. 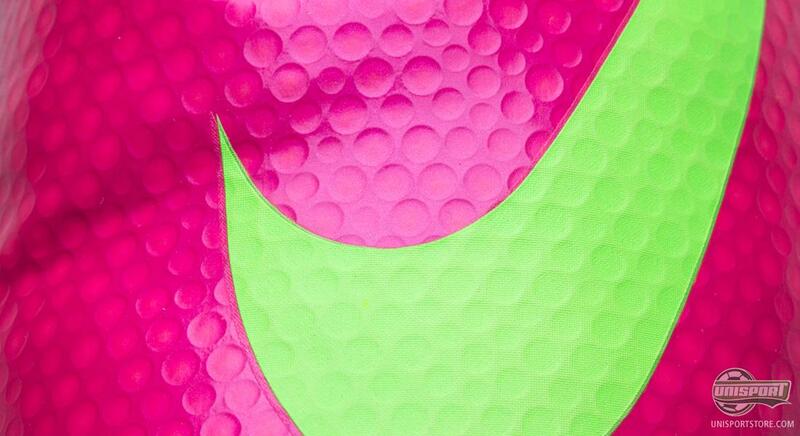 So let's get to it, and check out what Nike have created for us this time around. The Nike Vapor IX Fireberry/Electric Green-Red Plum will get support and be worn by some of the biggest stars in football, and among the most prominent we find Cristiano Ronaldo and Zlatan Ibrahimovic. 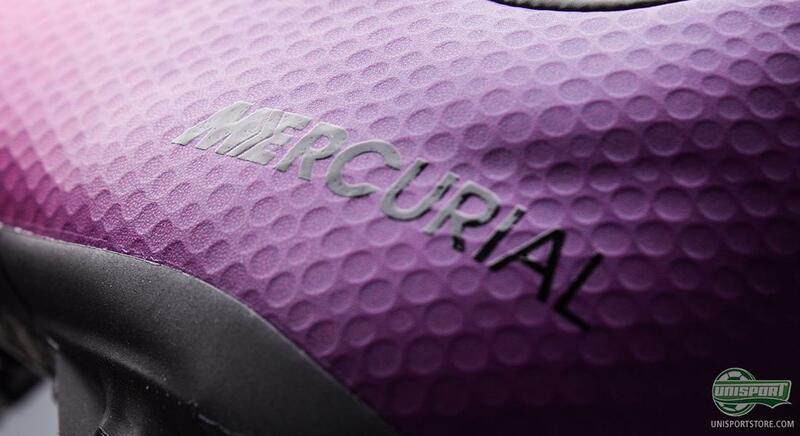 Both star players have been faithful to the Mercurial collection throughout their careers and are now rewarded by getting to experience the 9th generation of the, quite possible, best known boot silo across the globe. The design is one that surely gets noticed, and catches the eye right away. The Nike Mercurial collection is among the most prominent on the market and the boots are known for their flashy and flamboyant design, which appeal to the player who is not afraid to be in the spotlight even if this means taking the decisive penalty deep into the overtime. 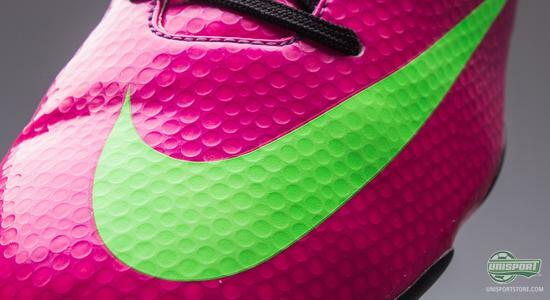 You can pre-order the Nike Mercurial Vapor IX Fireberry/Electric Green-Red Plum right here from tonight at 00.01  so stay tuned, if you want to be among the first to secure a pair of these extraordinary boots. The loud colour combinations are not just a flashy fun factor, but are also chosen to increase the visibility of the player on the pitch, which makes it easier for the team mates to spot a player, even if the pace of the game is unbelievable. 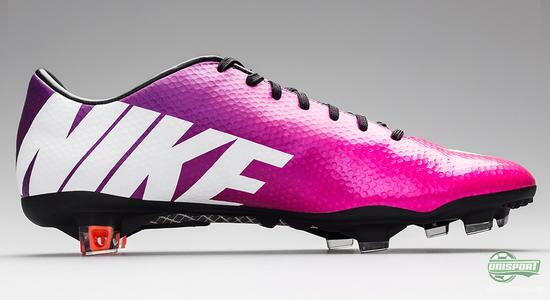 One of the new design features is the large Nike print, written on the medial side of both boots with a white colour. 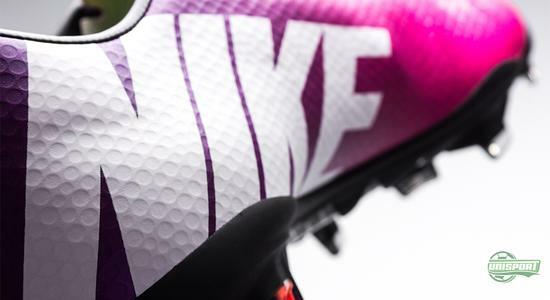 There is rarely any doubts if you are holding a Mercurial boot in your hands, and once again we have to say that Nike have managed keep it like this. 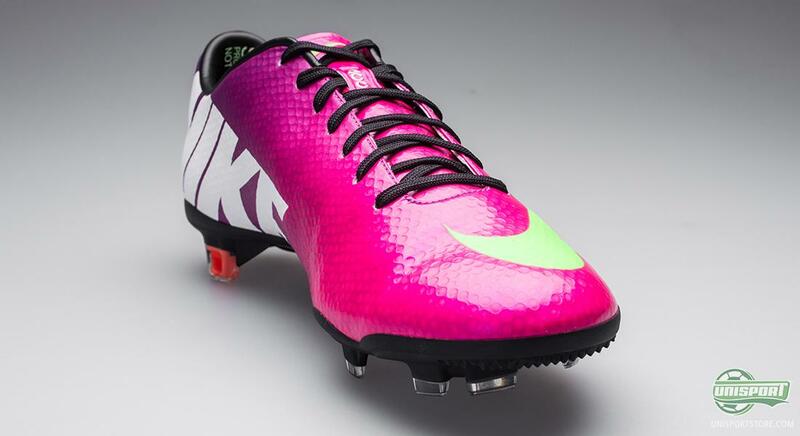 The Nike Mercurial Vapor IX Fireberry/Electric Green-Red Plum has, of course, not just been updated regarding it's design, it has also been fine-tuned in other ways. With that being said, Nike have, at the same time, also chosen to stick with a lot of the features that made its predecessor so very popular. 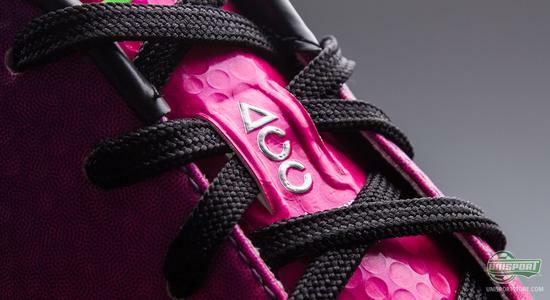 The upper is still a Teijin OLM12 microfibre, which ensures the snug elegant fit that played a big part in making the Vapor VIII so popular; but, as it is displayed by our pictures, the upper has been modified. 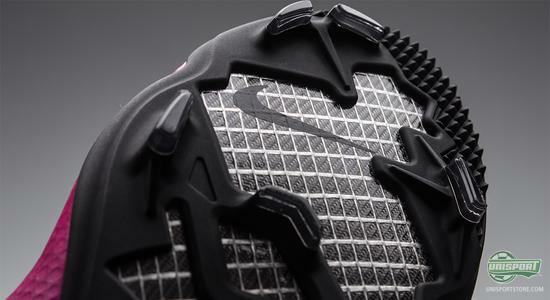 The upper has been equipped with a very interesting textured surface that reminds one of a golf ball  this is a new technology that Nike calls Speed Control. The idea is to provide a better ball grip for your dribbling, and, as the name implies, it is specifically designed to be beneficial at high speed. The combined features makes the Vapor IX the ultimate weapon for the fast and technically skilled player, who is not afraid to go head-to-head with the direct opponent. Nike have chosen to stick to one of their more recent technological milestones; the ACC, All Conditions Control. 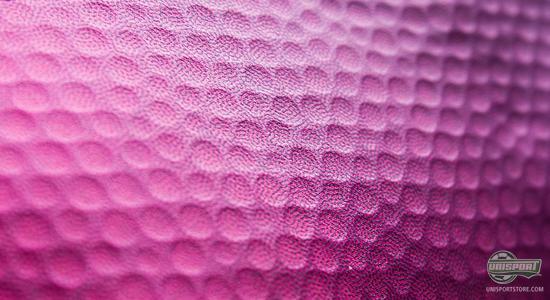 It is a technology that is worked into the material during production and serves to provide you with the same ball grip in wet conditions as you will have in the dry. It is not just a coating on the upper, and therefore, there is no need to fear that it will wear off, even if the boot is frequently used. 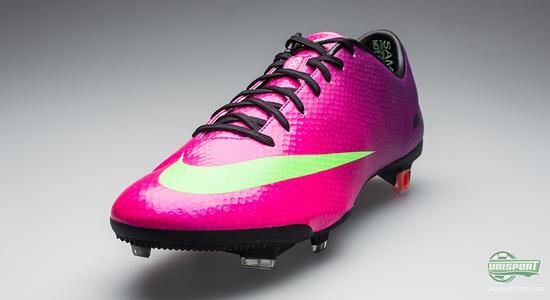 The Nike Mercurial Vapor IX is yet another worthy successor in the collection and the American brand seems to hold on to their spot on top of the lightweight hierarchy. 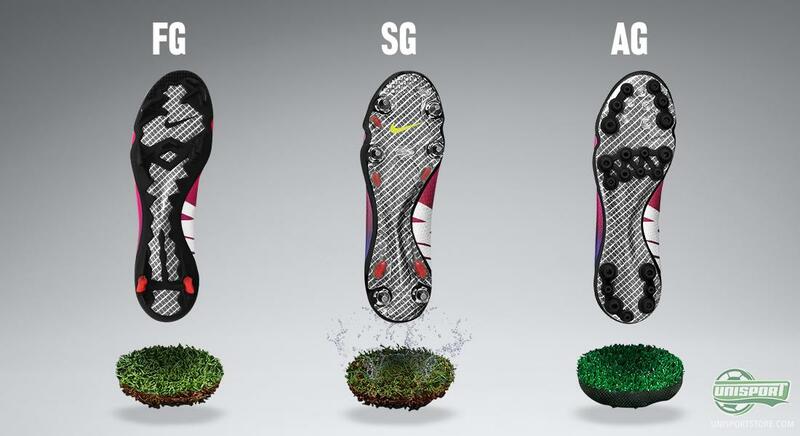 We have already spotted the boot in action in various locations around the globe, and we believe that Nike have plans to give the boot its official début in the games in this coming weekend. 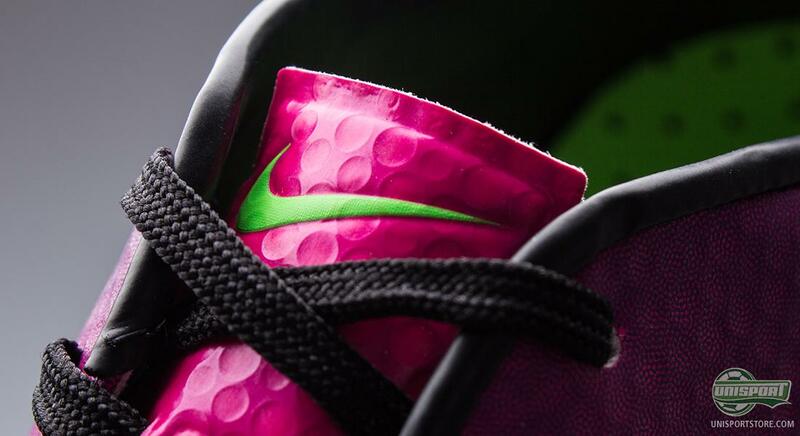 On the predecessor to the Nike Mercurial Vapor IX, Nike had chosen to only use a double layer microfibre under the midfoot, whereas the outsole around the forefoot was equipped with a single layer. 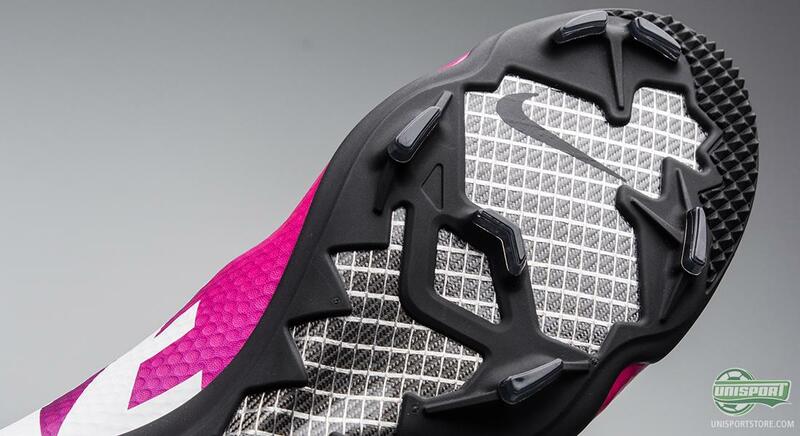 After a close dialogue with the professional players, Nike have chosen to change this, and now the boot has a double layer of fibre glass under the entire boot, which provides a fantastic responsiveness, especially for your accelerations. 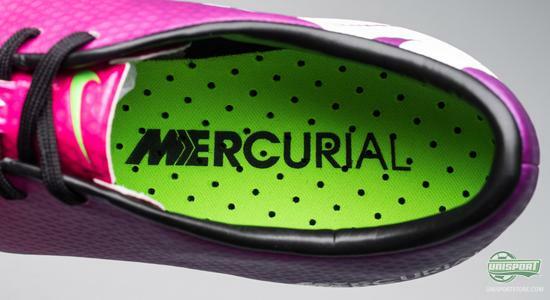 The Nike Mercurial Vapor IX Fireberry/Electric Green-Red Plum comes with a choice of three different stud configurations, and it is especially interesting that you, for the first time ever, can get the top model with an AG stud configuration, which is tailored for use on artificial grass pitches. In addition, the boot will be available with FG, for firm ground grass pitches, as well as, SG for use on wet, soft natural grass pitches. This was the first colourway of the brand new Nike Mercurial Vapor IX, but if you haven't gotten enough we suggest you keep it locked as we have much more regarding the Vapor IX launch coming on our site today. What do you make of the boot? Have Nike hit the nail on the head again? Feel free to share your thoughts in the comment box below.